Well, you are not the only one who is facing this problem, there are several users who have complained about similar situations and they were also unable to do anything. Usually, when you try to restore data with iCloud or iTunes, it usually goes without any difficulty but recently some unexpected glitches have been occurring which has made the users pretty irritated. So, without taking more of your time, I will say that there are a few tweaks you can make on your own which may fix the problem. If not, the alternative ways are also mentioned below. The solution below provides a preliminary assessment of the situation you are currently facing. Restoring from backups can be tricky but it is not impossible. But when it comes to restoration errors it can get a bit complicated and cumbersome. If you are lucky enough then the problem will be solved by these simple fixes below but if not you have to go beyond them and use the alternate options that are bound to solve the issue for good. 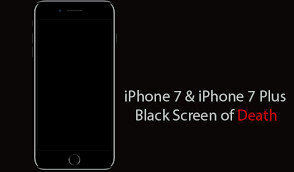 Many users don’t know that but since the iPhone 7/7Plus, Apple has made significant changes in the device. The Home button is not a mechanical button anymore. Now it has become a solid-state button which is operated by software. So, all the hard resets and the recovery modes can be entered with a combination of buttons, instead of tapping the Home screen. Nonetheless, it is still a usable phone and I use it as well! If your iPhone 7 will not restore, just follow the procedure below to force restart your iPhone. Now, if you want to force restart any models of iPhone then you have to hold multiple buttons at the same time to achieve it, so, be ready. 1. So, you need to tap and hold the Sleep button along with Volume Down button. 2. Do it for a bit more than 10 seconds. 3. Actually, hold it until the Apple logo is visible on the screen. 4. The moment you see the Apple logo, immediately release the buttons. 5. Your iPhone 7 will restart. Now, that you have force restarted your iPhone 7, there is a very big chance that the issue could be resolved when the phone starts again. If not, go to the next step. If your iPhone 7 not restoring then you could blame it on the poor Wi-Fi connection! We all know that without a good Wi-Fi connection iCloud is useless and won’t be able to restore the data. So, check your Wi-Fi connection again and make sure that you have a steady connection. 2. Go to “Settings” and tap on “Wi-Fi”. 3. Turn the Wi-Fi switch off and then on. 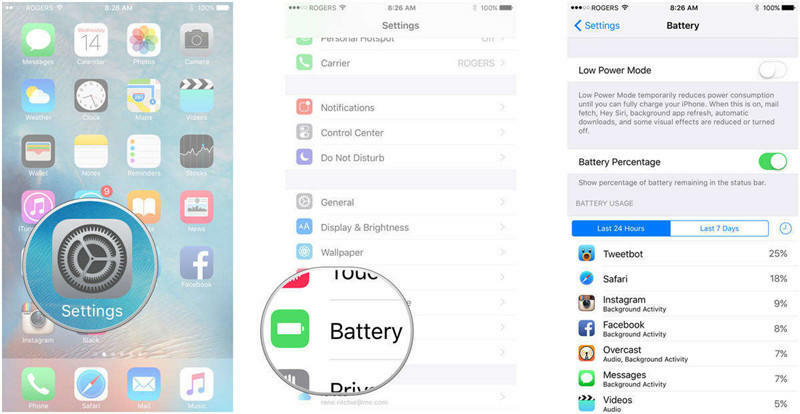 If you are lucky then this simple switch toggling can fix your iPhone 7 data restore problem. Another serious problem which may have been the cause behind the several failed attempts is the shortage of storage space. So, before you proceed with it you must check if you have enough space available. 1. Start by unlocking your iPhone 7. 2. Look for the General tab under Settings, when you find it click on it. 3. Lastly, tap “iPhone Storage”, and go through the recommendations for you to free up some space. That is it, now you know how much space you have available on your iPhone. And maybe this is the reason you cannot restore iPhone 7 from backup. Manage and delete data as per your need accordingly. If the above options have failed to restore your iPhone data and you cannot restore backup iPhone 7 then all you have left are the alternative options. The alternative options include the official option iTunes, but your problem is better suited for Tenorshare UltData. 1. Download Tenorshare UltData on your computer. 2. Run UltData on your computer and choose the “Recover from iCloud Backup File” option. 3. Now, login with your Apple ID and password. 4. The program will detect the iCloud backups automatically. 5. You can customize and the options, so, select the backup you want to recover and tap on Next. 6. Next select the files for downloading and tap Next. 7. After the procedure is complete all the recover files will be visible, they are all sorted out according to the category. You can opt for a preview as well. If you have found the file you need then click on “Recover” and choose to recover to device or computer. It is an excellent tool able to restore from iCloud and iTunes backup and even from the device itself. The selective restore option is loved by a lot of users. You can get a preview of the data before restoring. It supports multiple types of files and it is easy to use. Supports Windows and Mac and even the latest iOS 11 and also updated to work on the upcoming iOS 12 as well. 1. Make sure that you have the latest version of iTunes on your Computer. 2. Now, run the app on your computer. 3. Get a data cable to connect the iPhone and computer together. 4. Now, to confirm the connection you have to tap on “Trust This Computer”. 5. After that select the device you are using in the iTunes window, which is iPhone 7. 6. Now, go to Summary, navigate to Backup tab and simply choose the Restore Backup option. View the size and data of each backup file and select the most relevant one and click Restore. As you can see it is simple and efficient but unfortunately, the performance of the iTunes app has taken a bit of a turn recently. On multiple occasions, the app has lost data during transfer and restoration and it is a bit complicated to use as well. Well, the iPhone restoration problem is a very significant issue. You are basically on the verge of losing a lot of precious data. So, it would be best for you to use the minor fixes to get it done but if it does not resolve the problem, just use the alternative options mentioned in the article. Among them, Tenorshare UltData is the best and we highly recommend this software for all your data recovery needs.